As expected the early part of CES week saw a lot of new product announcements. There are lots of new players on the field with some innovative new products (and some obvious knock-offs and re-makes of existing technologies); but also as expected, many of the established sports gadget companies also presented new offerings today. One of those experienced players is Withings, today releasing a new minimalist activity tracker. As you’ll recall Withings has an established footprint in the world of sports gadgets with their Activité line of watches, their WiFi scale, their Aura sleep system, and their Pulse activity and heart-rate device. This is an interesting product, most notably because of its relatively low price, straight forward set of features, and interesting wearability possibilities. 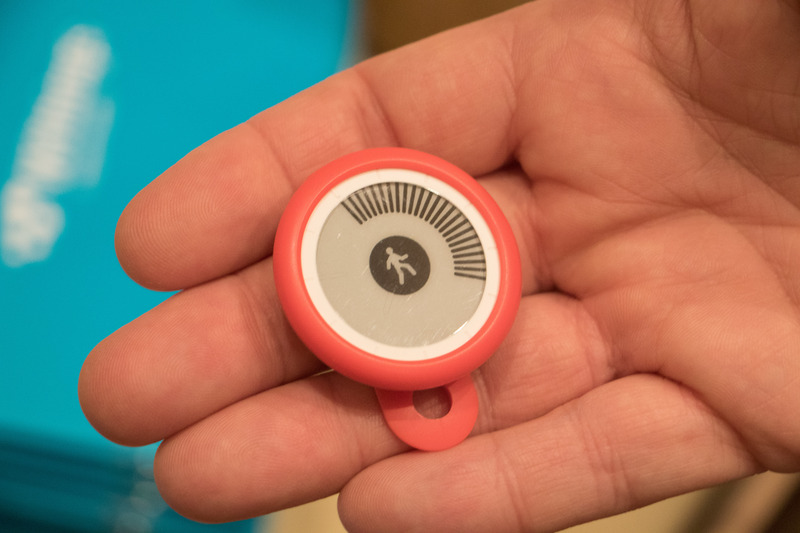 As expected of all activity trackers these days, the Withings Go will keep track of the basics such as steps, distance, and calories. But for a $69 device the Go has a few more notable features. Automatic run, walk, and sleep detection adds to the Go’s versatility by making it an always-on tracker; but with the added water resistance the Go can also self-detect and measure some swim metrics (time and calories). Though lacking a backlight the Go does offer great all-condition readability thanks to its touch screen E Ink technology. The tradeoff here is that the Go offers an 8-month battery life (CR2032). And the Go leverages more functionality via its integration with the Withings Health Mate app (iOS and Android). The default always-on screen shows a graphic representation of your 0-100% goal attainment for that day, great for quick glances and constant awareness. Once you reach or surpass your goal you get the ubiquitous gold-star display along with some animated flashiness to make you feel good about yourself. Or you can change the screen to a simple analog watch face with a tap, and you can do a reverse white/black display. At first glance the Go may not visually be overly impressive, but its touted wear-it-your-way versatility allows for wrist or waist based wearing, but you can also just keep it on your keychain or tucked away in your pocket, where you can forget about it while it constantly auto-syncs to your mobile app. Any idea if it has vibrating silent alarms? I keep killing Fitbit Ones with water. Would love a waterproof strapless alternative. So it has less features then the vivofit 1 and a worse battery life. Sounds like a winner. While this device records too little info for my usage (no HR, no GPS, no detailed swim metrics, …) I do really like the automatic activity detection (walk, run, sleep, swim) applied by Withings in their devices. My Android smartphone also does this trough Google Fit , very reliably and precisely in fact (walk, run, cycling). I do not understand why most of the big brands do not implement this (such as f.e.Garmin). It seems so obvious to me. Why should you push start and stop buttons when the correct sensors and algorithms are perfectly capable today to monitor your movements and identify precisely what you are doing. For me this is the future, a device you wear 24/24 registering your activities automatically, storing and forwarding this information to wherever you want. It’s particular to see all bits and pieces of the ideal sportswatch exist but are spread out over different devices. Who will be the first to integrate all of this? My bet is on smartwatches containing the necessary hardware, combined with powerful apps. Randy — I usually love your stuff, but parts of this read like they are straight from a press release. In particular, this line: “the Go does offer great all-condition readability thanks to its touch screen E Ink technology.” Did you try it in many conditions? If so, you need to be clear about that fact. If not, this comes across as the kind of fluff I expect from Runners World and its ilk, not from this website. Who’s this Randy chap anyway? Right. My mistake, I thought that it was “Anonymouse” who had confused Ray and Randy, but it was me! Anyway, keep up the good work, R&R! Anonymouse, I used that wording (my own, not from their press release) because E Ink technology does work well for readability, even under low light and bright sunlight, as in most e-readers such as Kindles. Fair enough, and my apologies. (I continue to think making the basis for your comment clear in the post would have been better, but recognize my comments were unduly harsh in light of your clarification.) This said, you should write PR — that sentence is PR gold! Have you seen the Bellabeat Leaf? They’re advertising pretty heavily to women types. Surprised DCR hasn’t reviewed. YAAT, but a non traditional form factor. I’ve looked at some of the ‘prettier’ activity trackers. Slowly amassing a large pile of them for some sort of combo post (relying heavily on The Girl’s input). Very glad to see a vendor that’s trying to simplify their devices in a market that’s trying to integrate every sensor under the sun in their devices. Price point makes it an impulse buy, which is right where you want to be if you’re an activity tracker. Any word when will these be available, Ray? I did. They sent me some stuff last night (docs), but didn’t have a unit here at CES (just at Outdoor Retailer in SLC). They’ll get me a unit next week they said. I don’t know if it’s an Ambit4 replacement. But I do know it’s seen as something that sits closer to Ambit3 Peak. Imagine it as an Ambit3.5. It sits right between the sport and the peak. It has altimeter as the peak, but not it’s battery. If Ray does not talk about it it’s not because he didn’t see it. It’s because he did not have hands-on time. On the other hand the GPS now supports GLONASS, so it would mean they changed chipset. Hope they didn’t do it Garmin-way. What do you mean by Garmin-way? @Turn The Damn Cranks Garmin switched chipsets from SirfStar to MediaTek starting with FR620 and Fenix2. This led to all kind of problems with GPS track quality/distance/pace. It took about a year to resolve these to “acceptable level”. FR920 and Fenix3 were equipped with “new antenna design” but still some people complain about Fenix3 accuracy, especially when trail running. You’ll find more info on Garmin forums. It should be also noted that Ray’s always been happy with his FR620 and it’s accuracy. Ambit3 hardware supports GLONASS, it’s just not enabled. @Grzeg1 — Thanks for the explanation! My question is whether you can associate this with the Withings app at the same time as a watch. 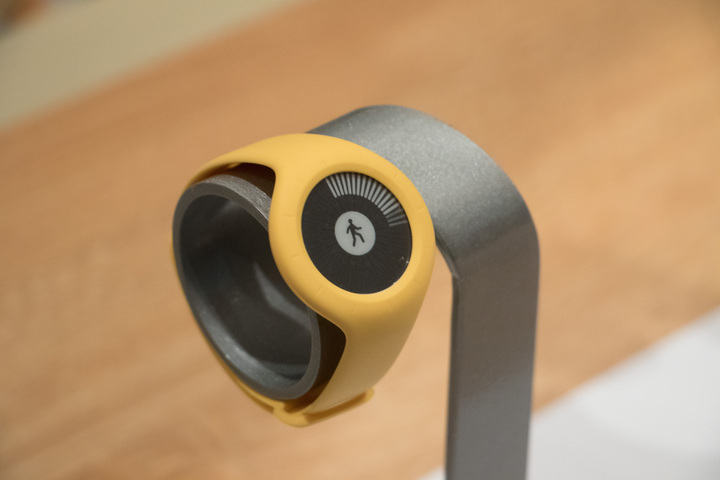 It would be great to have this in addition to a watch, for those of us who would like to wear something other than an Activite, but don’t want to use our phone to track our steps in its place. wow there is a lot of blah products at CES. I’m glad youre doing all hard work picking out the less crappy products. 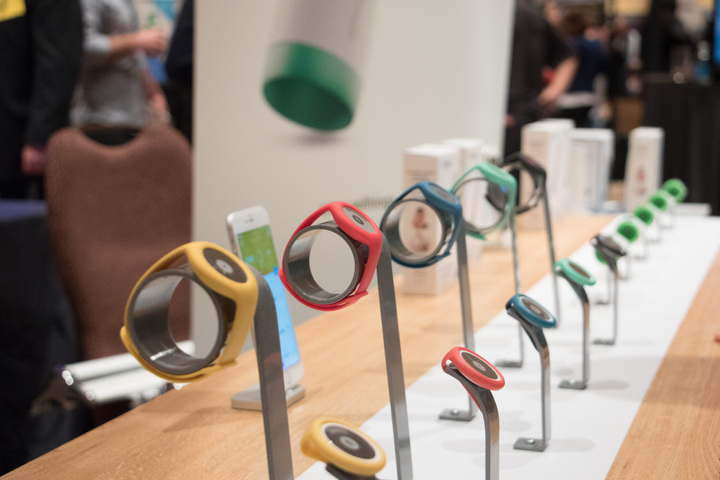 Speaking of which would you share the worst fitness products of CES 2016 later? that would be fun. When can I expect a in depth review of the Vivosmart HR? Is the optical hr any good, is it both accurate for resting and workout HR? I used the waist clipped Withings Pulse for a year and switched recently to the Activite Pop. I like the waist clip Pulse because I can wear my watches. I like the Pop because it doesn’t need to be charged every few days and I can wear it at night to capture sleep metrics – but I can’t wear it with my other watches. The Go, because it comes with a belt clip and a wrist holder, let’s me clip during the day and not worry about charging and put it into it’s wrist holder at night for sleep. As Paul from Kirkland said above, I would rather Withings let me switch on the same day from my Pulse to my Activite but they don’t. I also like the 360 degree view of activity (steps) on the GO. I find on the Activite the activity step view (12 o’clock to 9 o’clock) counterintuitive. Also, if you go over your daily target, 10,000 steps, on the Activite there is nothing on the display to let you know. From what I read, the GO will have a star or some indication you have already gone over your initial 10,000 steps. Thus, I am looking forward to the GO. I can not to feel sorry about ampstrip…Any new about similar product? What are your thoughts on Nokia’s proposed acquisition of Withings?